Bethlehem Housing and Support Services is a multi-service organization serving the diversified needs of Niagara residents by offering support for individual growth through housing and other focused services. 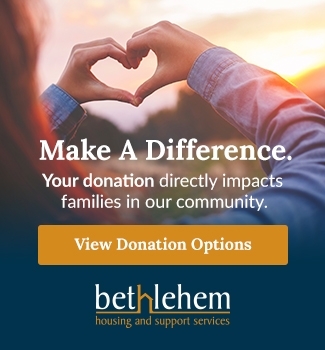 Bethlehem Housing and Support Services, in partnership with the community, provides affordable housing and services to support the personal growth of individuals and families. Stable affordable housing and support services contribute to a vibrant, caring and inclusive Niagara where everyone has a home. Safe, supportive and affordable housing is fundamental to the health, well-being and resilience of all people. Responsive and person-centered support promotes our residents' independence, self-reliance and increased engagement in the community. 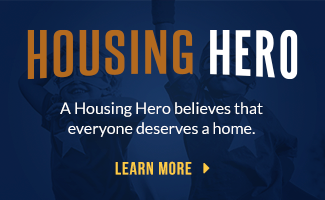 Stable housing, combined with personalized support, is fundamental to our residents gaining greater confidence and realizing their housing goals and life aspirations. Affordable housing and support services provide a critical cornerstone for a vibrant, caring and inclusive Niagara community. Compassion: We provide the highest quality services with empathy, hope, understanding and caring. Integrity: We act with integrity and honesty, treating all people with respect and fairness. Dedication: We are passionate about our mandate and go above and beyond to deliver superior results through our services. Inclusiveness: We welcome and accept all people, embrace individual differences, and create a culture of inclusion. Accountability: We strive for excellence by being responsible, accountable, and committed to continual improvement.